Also known as Dinosaur or Tuscan Kale, this Italian heirloom dates back to the 18th century, and is an essential ingredient of caldo verde (green broth), a popular soup in Portugal. By whatever name, the sweeter, milder, blue-green, heavily crinkled strap leaves impart excellent flavor, especially harvested young and after first frost. Kale, Lacinato is rated 4.5 out of 5 by 14. 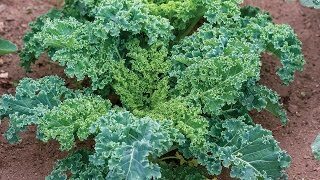 Rated 5 out of 5 by vettechick from Kale I planted 4 kale plants early spring and they were slow to start but eventually I started picking the leaves and juicing with them. It is now l ate October and these things are over 4ft tall and won't stop growing LOL. I can't keep up with them and boy are they hardy. 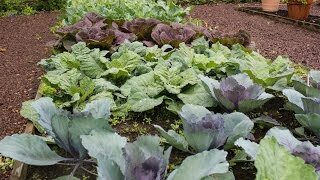 Rated 5 out of 5 by Bob Gam from Easy to Grow Glad i found you on line; I cut the kale up in my salad. Rated 5 out of 5 by count011 from Perfect First time kale grower in Indiana. Planted indoors late April (germination wasn't really an issue I had plenty of seeds come up), then I transplanted into the garden May 15th. The first month I just let them go so they could get established before I started harvesting. This picture is from June 15th as the summer heat started to bear down. You can tell that the leaves don't look quite like the photo because of the rapid development. I kept them pretty well watered with the risk of heat stress in a full sun plot. Right now they're finally settling in to normal growth and look a little more curled and wrinkled as the days cool off. I thought I might have to replant them but most of them survived the summer temperatures and pests. Luckily the cabbage worms/eggs are pretty easy to spot on these leaves and quick to remove. They're all-around great producers and I get to share with my local food bank. I did dose them with some fertilizer at the beginning of August to give them a boost after the hard season they went through. Rated 5 out of 5 by Linda46214 from Seeds germinated very well I bought this back in the spring , was so thrilled to find it as I had looked at various stores even a garden center for this type of kale. It will last into the winter also and it's is better once the weather cools down. Rated 5 out of 5 by LinY from Love the taste. I have not tried this variety of Kale, Lacinato, before. It was suggested by a friend who has. I bought it and I love it! Fast growing and easy to grow. Rated 5 out of 5 by JSFarms from Deserves TEN stars. I started this from seed indoors in early August, and the little guys germinated within just a couple of days, and then grew like the dickens. Transplanted them into outdoor containers just after Labor Day, and they really took off. The flavor and texture is perfect -- like something you'd see (but not be able to afford) at a farmers' market. I'm posting a photo of my first harvest in early October (from six different plants), and also a photo of what two of the plants look like growing on a window ledge. NOTE: We covered all of our brassica in tulle (wedding tulle, found at a sewing shop) to prevent moths from laying eggs. So far so good. Rated 4 out of 5 by jahatch from Lacinato Kale Beautiful plant with great production. Gave most away. Had difficulty with aphids in late August, otherwise no bugs or disease. As one reviewer has remarked, I will leave plants intact until frost. I would like to experience the milder flavor, but perhaps refrigeration would do the same thing. Will repeat this planting. P.S. I note that those of us living in the Intermountain West really have no regional marker available from the "Region" menu.